Since the past few years, two new disruptive technologies have entered into the realm of manufacturing and have provided a competitive edge to businesses in the market. These two technologies are Industrial Internet of Things (IIoT) and big data analytics. The intersection of IIoT and big data analytics has been transforming production processes and solving business problems globally. Manufacturers today are facing margin pressure more than ever before with customers decisions coming from their awareness of global markets. To stay on the top, manufacturers are tapping into internal and external data for making informed decisions in a wide range of areas, from product development, finance to supply chain. With the help of IIoT and big data analytics, manufacturers are able to improve safety, decrease financial risk, reduce production downtime and improve quality in processes and products. Let’s delve deep into this to understand how these technologies are revolutionizing the manufacturing sector. The first step towards any analytical process is data collection. Manufacturers invest heavily on collecting data from internal repositories and sources including enterprise manufacturing intelligence (EMI) and manufacturing execution systems (MES). Data is also collected from sensors, supervisory control and data acquisition (SCADA), human machine interface (HMI) software on the floor to supply chain and enterprise resource planning applications. Once the data is collected and aggregated, different analytical techniques are used to generate insights. Analytical techniques include predictive modeling, machine learning, simulation, process optimization and control along with business intelligence tools. However, performing analytics through an all-inclusive technology can be time-consuming and expensive. The infographic below showcases different analytical techniques used to generate manufacturing insights. These big data analytical techniques foster cost reduction and help to avoid bottlenecks and identification of KPIs to boost performance. Predictive maintenance is one of the main aspects of operational efficiency wherein the historical data is used to predict if any equipment is likely to fail. Machines at some point undergo wear and tear and sometimes fail. As a result, it becomes important for manufacturers to reduce the downtime by replacing or repairing the parts to reduce losses. According to McKinsey, a major oil manufacturing company was facing problems with one of its compressors. The failure caused the whole platform to stop working which was costing the company between US$1-2 million every day. However, on spending years on analyzing what caused the breakdown, they installed thousands of sensors to find the correlation between atmospheric factors and equipment failure. This led the company to predict several days in advance if an equipment was to fail and significantly reduce the downtime. Analytics is not just helpful in predictive maintenance but it also helps manufacturers analyze the throughput of their machinery. This is to analyze if the components and machines are working to their best efficiencies and keeping the energy consumption under control. Lastly, analytics is also leveraged for profit maximisation which analyzes and provides insights on all the factors of the supply chain that could improve or deteriorate profits. This intelligence has been instrumental in helping companies monetize in any given situation. As IoT is getting its due fame in the industry, future analytics will be a blend of IIoT and Big Data. IIoT collects data from sensors, its transmission, and microcontrollers that can track information and help in data management. These two together are transforming manufacturing processes and management, making manufacturers smart. However, the marriage of these two technologies requires new infrastructure, including hardware and software applications, as well as an operating system. Manufacturers will have to deal with the large influx of data that starts flowing in and analyze it in real-time as it grows in time. The below video shows how smart manufacturing using real time analytics and IoT works in an industrial setup. The first step towards implementation of advanced analytics requires manufacturers to understand the problems faced and in what way can data and insights solve the issues at hand. Where to dig and what metrics to analyze are here the main questions. The manufacturer must identify the key areas of improvement where they could leverage the power of data. Strategizing for the coming months, such that it is aligned with the goals will help the manufacturer in taking the next steps. Manufacturers may not need to spend dollars on hiring new data scientists for the entire process but it is important to understand that the most effective analytics is driven by business strategies and not IT. Manufacturers already have personnel that know their machines in and out and can be further trained for being a part of the analytics chain. Also, focus on business issues is much more than software tools and packages. IoT and big data both share a smart and closely knitted future. 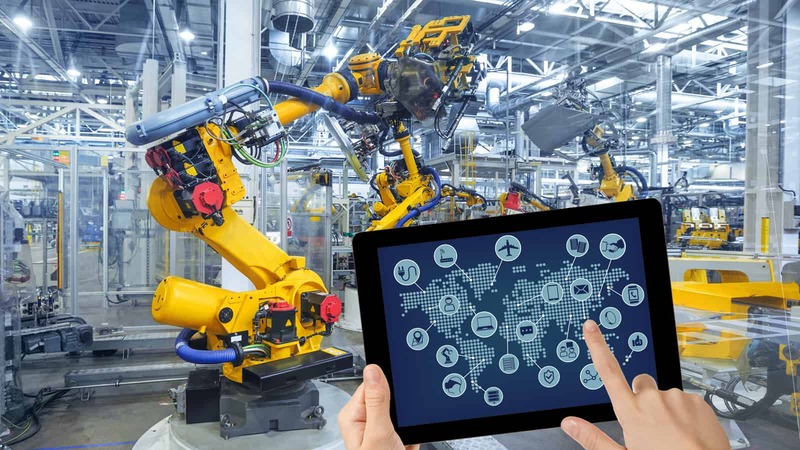 A number of leading global manufacturers including Bosch, Cisco, GE, General Mills, Harley-Davidson, and Siemens are early adopters of smart manufacturing in their operations. Smart manufacturing helps these companies to create an environment wherein information from plants, processes and supply chain is captured in real-time and turned into actionable insights. – About 69% of decision makers believe Industrial Analytics will be crucial for business success in 2020, with 15% considering it crucial today. – Predictive and prescriptive maintenance of machines (79%), customer/marketing related analytics (77%) and analysis of product usage in the field (76%) are the top three applications of Industrial Analytics in the next 1 to 3 years. – McKinsey Global Institute predicts that the Internet of Things (IoT) will generate up to US$11 trillion in value to the global economy by 2025. – The skills gap for data science professionals is enormous, with only 22% of companies having the necessary skills onboard today. Manufacturers across all industries including automotive, chemical and electronics have invested heavily in IoT and big data analytical tools, and they’re already reaping the benefits. These two fields are creating surprising opportunities and solutions and will have a long and lasting impact. Needless to say, manufacturers who successfully build their capabilities today in IIoT and analytics will set themselves far apart and stay ahead in the competitive race. Very informative article. IoT in manufacturing is already doing wonders. With big data and analytics, the sector is surely going to get smart. Keep up the good work!! Thank you for this article. IoT in the manufacturing sector utilizes the data from machines and equipment and transform the processes and systems of the current environment.